Jakarta – The Ministry of Agriculture noted the export of agricultural commodities during January 2015 reached 3.032 million tons with a value of US $ 2.28 billion. 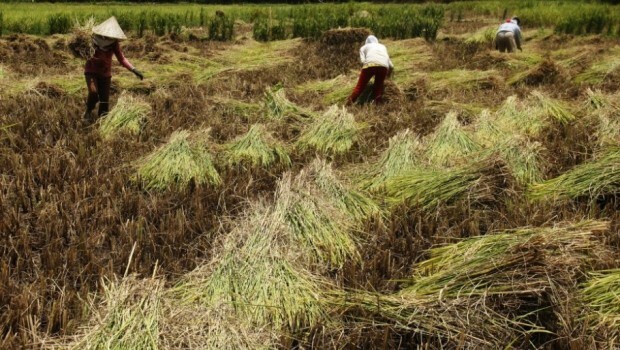 Directorate General of Processing and Marketing of Agricultural Ministry Yusni Emilia Harahap said, the export volume increased, it was compared to January 2014. In January 2014, the volume of agricultural commodity exports reached 2.54 million tons worth US $ 2.31 billion. “Plantation commodities still account for the largest Indonesian agricultural exports followed livestock, horticulture, and food crops,” he said, in Jakarta, Sunday (1/3). Citing the data that released by Center for Data and Information (Media Centre) Ministry of Agriculture, Yusni revealed, in January 2015 the plantation sector contributed income of US $ 2.19 billion from exports of 2.96 million tons. The main agricultural commodities are still a mainstay of the palm oil exports worth US $ 1.42 billion with a volume of 2.40 million tons, rubber US $ 282.10 million (189 512 tons), oil of US $ 102.78 million (161 160 tonnes), Coffee US $ 97.33 million (33 922 tonnes), and cocoa US $ 97.45 million (26 547 tonnes). Meanwhile, in January 2014 the plantation sector can contribute US $ 2.19 billion of foreign exchange from the export of 2.44 million tons. According Yusni, for horticultural commodities, in January 2015 foreign exchange contribution of US $ 39.14 million of the total volume of 31 005 tonnes. “The main commodities of horticulture are pineapple, mangosteen, cabbage, other vegetables and bananas,” he said. In January this year also, he added, pineapple foreign exchange contributed US $ 17.85 million by volume of 15863.74 tons, valued at US $ 869,000 mangosteen (3,061 tons), cabbage US $ 397,000 (2,202 tons), other vegetables US $ 8.22 million (1,777 tons) and banana US $ 970,000 (1,667 tons). Whereas in January 2014 the export of horticulture reached 25 913 tons worth US $ 36.15 million. In the other case, according to him, the export of food crops in January 2015 as many as 24 220 tons worth US $ 10.82 million, was down compared to the same month last year, reaching 62 304 tonnes with a value of US $ 31.95 million.